At Pacific Transcription we receive many queries from transcriptionists and clients alike asking which headphones are best for transcription. And to each and every one I say firstly, it is a very personal choice. What we’ve discovered over the years is that everyone has different ideas on which features are the most important. So this post is more a list of the features which may be important to the wearer, rather than which headphones are “best” for transcription. This is a BIG consideration if you are wearing headphones all day. Some people like buds (like the ones that come free with most mobile devices), others like in-ear canal buds (better sound quality), then there are folks who like in-the-ear headsets that sit just on the outer edge of the ear (such as the Philips LFH334 or Olympus E-62, which come with most professional transcription kits), and yet others like their ears completely enclosed by a big velvety or leather ear pads (like gaming headsets). Other factors to consider include whether you wear glasses. Half an hour wearing headphones which uncomfortably press your glasses against the back of your ears can soon stretch into what seems like an age. Suddenly transcription is not fun anymore. We wouldn’t recommend any headphones without volume control. When audio suddenly blares it is much easier to control the volume with a simple flick of a dial than search on your computer for your audio settings. 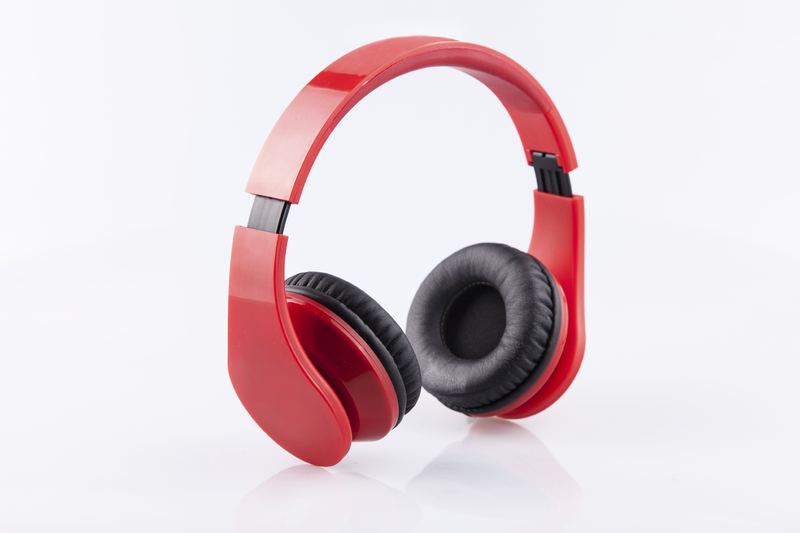 Depending on the environment in which you are transcribing, noise-cancelling headphones can be very beneficial. Some transcriptionists don’t bother with this feature as they are already in a quiet environment, and noise cancellation technology can add significant cost to a sturdy set of headphones. Feature: Type of connection – wireless or tethered, USB or 3.5mm jack? Tethered or wireless? Some people hate the cord – it gets caught in chairs, wrapped around legs, and the cord or connection can get damaged. Bluetooth or other wireless connection can give more freedom. 3.5mm jack or USB connection? Depending on your computer’s specs, you may need a 3.5 mm jack connection as you may not have any USB connections left. Keep in mind that some USB connected headphones also have a sound card in the USB connection – which is very handy if you have a computer with a poor quality sound card. Pacific Transcription’s online shop sells a variety of headphones, including the full range of Philips and Olympus professional transcription headphones. 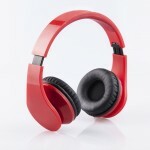 So which headphones are best for transcription? There’s no one answer to fit all, but this information will go a long way in helping you decide which headphones are best for you. 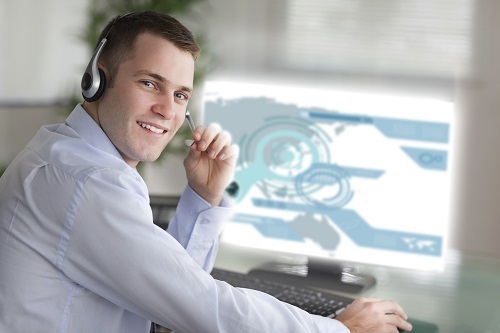 If you need more information on headsets for transcription be sure to contact the Products Team at Pacific Transcription on 1300 662 173. Hi. My adult daughter would like to try transcribing for a living, as she is a fast typist, good listener, and doesn’t drive, so finding a job has been difficult. She has carefully located positions that are not scams and I have a computer she can use, but we have no idea how to go about finding a good headset to start. I have the only income in the house, so we cannot afford much to start. Should we go in to a store, like Best Buy, for her first set or do you have tips/other suggestions? I know this is below what you usually do, so if you have someone you would like to turn this over to, I won’t be insulted. Just seems like a good site to get info from. Thanks so much. Hi Sue, Thanks for your comments and questions regarding finding a good headset for your daughter to use when starting out as a transcriptionist. As I mentioned in my post, selecting a headset is a very personal choice. I’ve included links to two good headsets which many of our own typists use, when starting out – the Cyber Acoustic AC-401, and the Spectra SP-VC5. Both are available via our online shop, and both are inexpensive – under $50 each. I’d try one of these. Of course, your daughter is going to need transcription software and a foot pedal also, both of which are available on our online shop. Do let me know how you go, and good luck. Hi, and thanks for the article. It’s very informative. Do you know of any headphones that help cancel white noise within the audio? I’m a transcriptionist for Mobile Assistant and almost all of the audio I receive has awful background noise, whether it be the clients car, wind, or plain static. I’ve read a lot about noise cancellation and isolation. I think I personally prefer isolation, but could be swayed if a noise cancelling set could help with the audio’s white noise. Any thoughts? Hi Faith, Thanks for the comments. Yes, as a transcription company we certainly do come across audio which has lots of white noise. I’ve not come across a headset which cancels white noise within audio; however when we encounter audio with lots of white noise we first run the audio through software like WavePad. This software compresses the audio file so that the high (treble) and low (bass) frequencies are flattened, thus reducing the impact of white noise on the listener. We also encourage our clients to use good quality recording devices, and to be mindful of their recording environment. Some clients do like to dictate while in the car, so using a lapel mic attached to their recording device, or a good quality bluetooth headset with mic, is also an option. Although clients are not always able to influence the recording environment, and poor quality audio is a reality for all transcriptionists, providing clients with helpful tips on minimising the risk of recording poor quality audio is a great strategy. We have some great tips for recording good quality audio on our website. You might like to help your clients with these tips? Happy transcribing! Hi, I am looking for a wireless headset good for transcription. I have already tried a few but there is always something that is not good, either the battery life, or the sound quality. Do you know of any under $100? Thank you! Hi Rita, Thanks for this great question. I’ve recently stumbled across an inexpensive bluetooth headset (43 AUD), which I am absolutely loving at the moment. The Olixar X2 Pro Bluetooth Stereo Headphones are extremely comfortable, especially when wearing glasses and over longer periods of time. I’ve had the headphones going all day and no problem with the battery running out. Another of our transcriptionists swears by the Creative Digital Wireless Headset HS-1200. He was completely over getting tangled in the corded headsets, chairs upended etc, and after some searching, settled on these ones. He says he easily gets a 5-6 hour stint out of the battery, and as it also comes with a reasonably long cord, can still be used while charging. Note: He does mention however, that the ear pads are a little on the small side, and I’ve read reviews that make note of this also. I believe this model has since been superseded; however Creative do manufacture a variety of wireless headphones, most of which are around the 100 AUD mark. I’ve asked around and the majority of our transcriptionists don’t use wireless headsets, which is interesting in itself! I think that in most cases people have just tried out a few until they’ve found one that suits their particular needs. Good luck headset hunting. I have been transcribing for about 28 years now. I have always used the Sony headset, the white one that sits lightly on your ear with the sideways discs (no pads). I always loved them. Unfortunately, my last pair has died, and the headsets have apparently been discontinued. I’m using another brand now, but don’t care for them. There is more white noise with them and my hearing is not what it used to be. I would love a good, new headset. Will browse your site, but still am not sure what to get. If I purchase something and it does not work, what is your return policy? Hi Deb, Thank you for your response and for weighing into the conversation about which headset is best for transcription. It’s such a shame to hear your favourite headset is no longer being manufactured. After I recently broke the band of my favourite bluetooth headset (so comfortable!) I discovered that it too had been discontinued. I must say I did then regret not purchasing a number of them, when I had the chance. Oh well, the benefit of hindsight. I ended up going into the store of a large home entertainment retailer and trying on the headsets there, a bit like trying on shoes for fit. The retailer had their headsets tethered to the shelving, for security. Most large stores have their products available to try on. I eventually found something I liked, and purchased from that retailer. 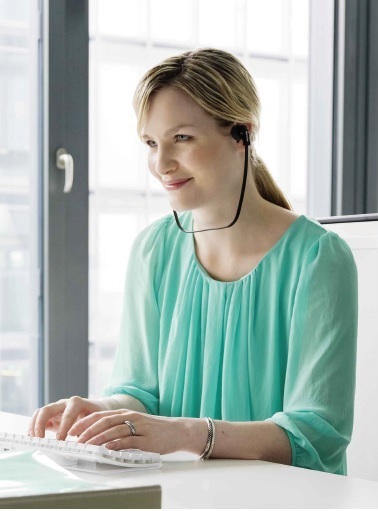 A number of our typists have commented that they’ve done the same thing – if you are looking for a change in headset, and if you use the headset all day, it’s best to try on before you buy. As Pacific’s shop is an online shop only, we don’t have a store front or the facility for trying on headsets before you buy. Please click here to view our returns policy. Good luck in the quest for the perfect headset – and do let us know how you go! Hi Jane, It sounds like you are working in a very challenging environment! Without a doubt you should consider noise-cancelling headphones. One of our typists was having so much trouble finding a suitable headset that she ended up going into a few large electronics retail outlets and trying on all the headphones they had available, until she found the right one for her. She ended up with quite an expensive set, but they were comfortable, completely covered her ears and didn’t press on the part of her ear where the glasses sat, and they blocked out much of the surrounding noise. Perfect for her needs. Sometimes try before you buy is the best approach. Good luck!